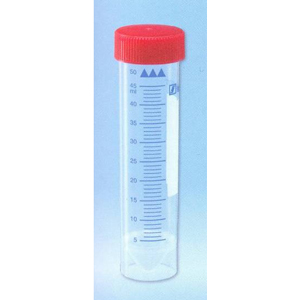 50 ml Freestanding Graduated Sterile Polypropylene Centrifuge Tubes with writing space and screw caps, ASSEMBLED. Case of 300. (12 bags of 25). Exceptionally clear PP enables perfect viewing of the sample material.